In a small bowl place the tomato, red onion, coriander, lime juice and half of the olive oil. Mix combine and set aside. Place the Flathead pieces into a bowl, and sprinkle with smoky paprika and a big pinch of salt. Place a large frypan over high heat and add the remaining olive oil. Add the Flathead pieces and cook, stirring occasionally, for 3-4 minutes or until cooked through. 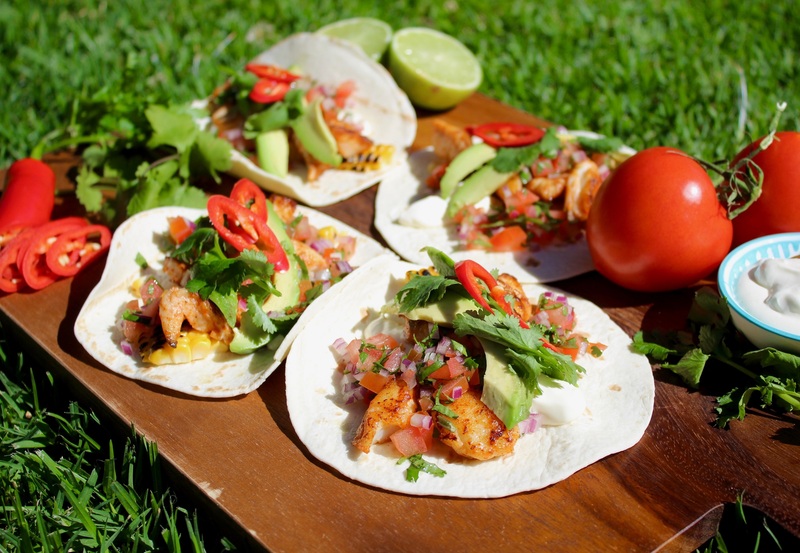 To serve, top the tortillas with corn, avocado, sour cream, smoky Flathead, tomato salsa, and fresh chilli.